Wow! Click HERE to get boots from WET SEAL for just $10 each. 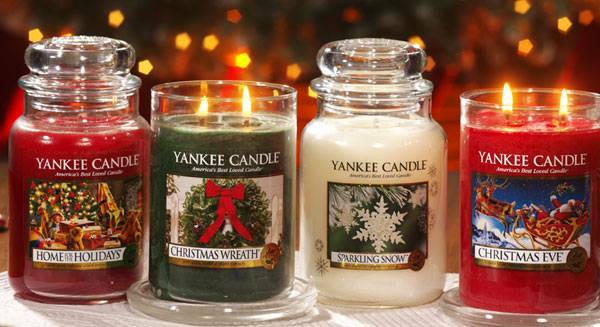 Plus they are offering an additional 20% off + FREE shipping on orders of $15 or more. Buy 2 pairs and you will automatically get 20% off, making them only $8 shipped each!! There are a lot more sizes available in the black, and a few smaller of the brown. You can print a great ULTA coupon for $5 off $10 HERE! WOW! Borders is giving away (1) Free Medium Coffee or Latte to it's Border's Rewards Members today only! Go HERE to print your coupon! Limit (1) per person. Take a break while shopping! Free Shipping Day at The Body Shop. Today, December 17th only, get free shipping on any order. In addition, many items are buy 2, get 1 free. There is no Body Shop Coupon code for the free shipping today. Leapfrog is offering free shipping, with no minimum purchase, for today, Friday, Dec 17th. You can pick up the new 32 GB Tag Reader for $23.99 shipped using Leap Frog Coupon code WINTER20 for an additional 20% off. Today Only! Get Free Shipping Sitewide at Disney Store with Disney Promo Code: FREESHIP. The kid’s pajamas are buy one, get one free with free shipping. The pajamas start at $7.25 shipped with this promo. Also, the Plush Toys are still on sale BOGO as well. Today, at 10 am EST Lowe’s will be offering up to 90% off coupons for select items. You will have to like Lowes on Facebook. This event is similar to the Black Friday Event. ...or in your head, if you are afraid of what people will think! If you like Broadway music and have Itunes on your computer, you can download 15 free songs. Enter the code BROADWAYINSF to get your Free Broadway Music. 40% off AND free shipping today and tomorrow at Coldwater Creek! Promotion is valid online only through 12/17/10 and applies to in-stock items only, exclusive of tax and shipping. Use Offer Code WHH9009. One offer per transaction. Wow! Look what is on Coastal contacts on Facebook this morning!!!!! Thanks everyone for expressing your interest in a US FREE glasses promo on Friday, December 17. Congratulations! We have decided to open it up to everyone who has not previously received a free pair. Tell all your friends and family and get ready for Friday. Details can be found under the "FREE FOR ALL" tab! We are counting down the days until Christmas on our Advent Calendar. The Advent season is filled with anticipation and expectation, when we prepare to welcome Christ at Christmas. The word "expectation" seems to be ringing in my ears alot these days. Expecting things bring out a lot of emotions. If you are a mom, remember when you found out you were expecting and you rushed right out to buy your copy of "What to Expect..."? I know many of you did because, now that you have moved from diapers to drivers permits, there are an awful lot of those book on the shelves at the Thrift Shop! I think we bought them both out of excitement and nervousness! How about report card times? Do we want our kids to live up to certain expectations? How do they feel the day they tote them home in their backpacks? If you believe everything you find in your average magazine there are a lot of us who put too many expectations on ourselves for the holidays and we need to relax and destress. I read this verse AFTER a very trying time of waiting and expecting...literally. I had gone into preterm labor with the twins and was put into bed in the hospital until they were born. I had no idea how long that would last, although I hoped it would be a long enough time for the babies to develop. There was enough fear and panic initially that I wasn't thinking for a second about my own comfort, or discomfort. I later found out that the doctors assumed I would deliver by the end of the weekend, I was admitted on a Friday at 28 weeks pregnant. After the weekend came and went I started to settle in. Now, there are different forms of bed rest and mine was of the complete and utter kind. I got up for nothing...NO THING! There seemed to be ways to take care of most necessities but one...washing my hair. I hate second day hair, so imagine how I felt by fourth or fifth day hair. On the tenth morning I couldn't even bring myself to open my eyes. I said a quick prayer first..."Lord, I am sooooo tired of this. I haven't even seen the sky for almost 2 weeks. If you want me to keep on, then it needs to be your strength." (Seems obvious to me now, but at the time I really thought that the strength came from me.) I really did have windows, three to be exact, but they looked upon walls of brick. ugh. Before long a few nurses came in asking if I wanted to get my hair washed before being slid onto a stretcher to go down for an ultrasound. I was thrilled, not even knowing that was a possibility. They lowered the head end back and raised the feet and began the process...Ahhhhhh! Then it was time to head out. They went to raise the head, nothing. They pressed all the buttons and the head went down further and the feet raised even more-WHOA! Don't forget the free veggie tales downloads link in the archives, too! If you couldn't get your $10 credit to Nomorerack.com, try again. NoMoreRack is offering New Members $10 credit good towards purchases of $20 or more on their site. They have some of the best deals I have ever seen, and shipping is always just $2 per item. New deals start each day at noon.To add your $10 to the account, first register, then go to “My Profile” then click on “Redeem Gift Card” and enter P1100 . already a member and didn't get the credit? Maybe someone in your family would like to sign up with their e-mail! I learn something new EVERY DAY! JC Penney.com runs wednesday deals each week...yup, wednesday is almost over so HURRY! !Don't forget that shipping is free if you ship it to the store! Stay tuned and I will try to get the stores that offer this posted as soon as I know!!! Last chance to get packages by Christmas. Some may require a minimum purchase...let's see! ...Did anyone get these last time around? Let us know how you did! Coastal Contacts is offering 10,000 free pairs of glasses this Friday, December 17, 2010. To get your free glasses code, simply click the “Like” button on the Coastal Contacts Facebook page and then click on the “Get the Code” button to reveal the coupon code. On Friday, December 17, starting at 9am EST, place your order on the Coastal Contacts website and enter the coupon code at the checkout to get your free glasses. A tip that others had for last time: make your selection and have it ready in your "cart" so you are all set at 9 am. 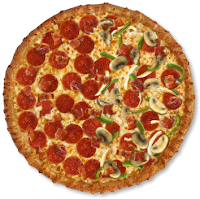 Domino's Pizza is celebrating their 50th Anniversary and they're offering a 50% off code via Facebook. The code is good for online orders. ok. I try, but I don't always have all this blog stuff figured out! The Tanga deal on the right margin doesn't show this but Parents' magazine is 3 years for 5.99$! If you collect My Coke Rewards right now they have a coupon for a FREE 12-pack of ANY coke product for ONLY 30 points!! Its normally 240 points!! Swagbucks has some very exciting news! They'll be giving away 30 BONUS Swagbucks to new sign ups through December 31st! That brings the total to 60 Swag Bucks just for joining! If you haven't joined up, now is a great time to try it!! Be sure to enter code JoinIn2010 for your first 60 Swagbucks! A really easy way to earn some extra spending money is to change your search engine to Swagbucks. Once you have signed up it is handy to add the Swagbucks tool bar for searches. Many make Swagbucks their homepage. Just continue to search the net as usual and you will begin to receive fun random winnings of swagbucks. Most people convert their swagbucks points to gift cards for Amazon.com among other prizes. I began searching through Swagbucks just this past spring and easily accumulated over $10o in my Amazon account. It has been great having that money sitting in an Amazon account for sudden deals on magazine subscriptions, quick online shopping purchases, a required summer reading book, and other purchases. It can even be used for the shipping costs! I love not needing to run for the credit card to make those purchases while sitting comfortably on the couch. 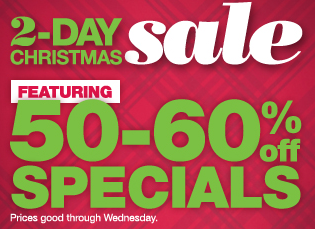 Kohl's is having one last pre-Christmas sale through Wednesday. Save 50 - 60% off with their 2-day sale specials, plus an extra 30% off with code GIFTGIVING (cardholders only) or 20% off with TAKEOFF20 (anyone). The site says "guaranteed Christmas delivery." They are also giving $10 in Kohl's cash for every $50 you spend! Kohl's cash can now be earned and used online! Shipping is FREE when you spend $50 or more. 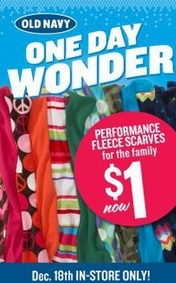 Old Navy will be offering $1 Fleece Scarves on December 18th, In-Store ONLY. Quantities are limited and the sale will end when supplies are depleted. You may want to get there early. There is a limit of 5 per person. Walmart.com has Bonnie Bell 6 or 5 count Packs for ONLY $3 with FREE Shipping!! Great Stocking stuffer! Rite Aid has the 3-D Foamies on sale buy one get one 50% off AGAIN this week with prices starting at $2.29. Use the $5/2 Rite Aid Ad Perk coupon ( you need to join Riteaid.com registar rewards for these coupons...just sign up) and you can easily grab 2 for FREE + have a little overage! Go to the Bic Facebook page to print a coupon for $5/1 BIC Mark-It Permanent Markers (24 or 36 ct.). ■Get a Loyalty Card when you give your receipt to the on-site cashier. ■Scratch the card to reveal a unique code. ■Click here to enter the code. ■You're $10 BP Reward Card will be mailed once you enter five codes. While supplies last. Promotion ends 3/1/11. Limit (3) $10 reward cards per person. Reward Cards expire on 9/6/11. go straight to Walgreens site. :: Add two Pillow Pets to your cart. :: Add a small filler to get to $40.00. Candace desperately hoped for a pillow pet, so I used the 20% off Bed Bath and Beyond coupon that comes in the mail ALL THE TIME and got hers for 16$. Also, rumor has it that they are sale at Rite Aid next week...more info on that as it arrives!